While I enjoy spending time with my kids, there are times when I need to get things done. Typically these times intersect with the times my children are bored and looking to me to entertain them. One summer day when I was really wanting to finish the latest Janet Evanovich novel, I uncovered the secret to keeping the kids HAPPILY occupied leaving me free to do as I pleased. This parenting secret is something with which we are all familiar–treasure hunts. Kids haven’t filled up their brains yet with all the information we’re forced to tote around, so they actually enjoy learning things and figuring things out. If you throw in a little bribe in the form of a treat or gift, they really get on board with this idea. All it requires from you is a few minutes setting up the hunt, then you are free to do as you please while the kids run all over the place searching for clues in pursuit of their treasure. If you have more than one child, you can even get out of the few minutes of prep time by having the kids create the clues for one another! 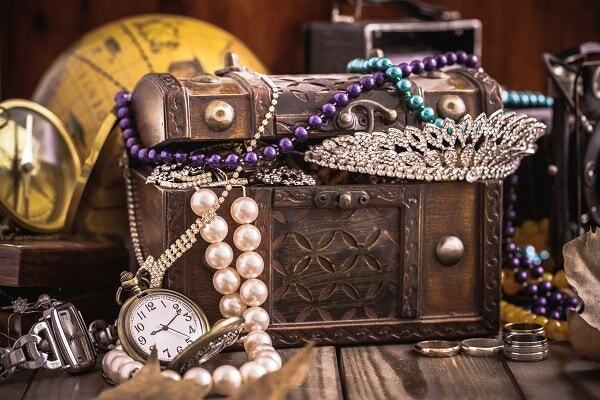 Here is a treasure hunt for you to try: treasure hunt. If you have pre-readers, click here for one that uses picture clues. Once you’re hooked, you may want to get even more creative with your clues. To create a rebus, check out www.festisite.com. For all types of clues, including cryptograms and word searches, go to www.discoveryeducation.com. If you’re a real overachiever, you can try your hand at drawing up an actual treasure map. For the treasure, you can do something as simple as some candy or a small toy. If you don’t have anything on hand, you can make up a coupon for a batch of homemade cookies or a trip to the movie theater or bowling alley to be used on the weekend. An even easier variation of this idea is the scavenger hunt. In this version of child distraction, you don’t have to mess with creating clues and hiding them. You simply print off a list of items the children have to find and let them loose. If you want to try scavenger hunts, I’ve created two lists for you. One is for an Indoor Scavenger Hunt, perfect for rainy days. The other is an Outdoor Scavenger Hunt, great for summer days when you want some peace and quiet in the house. Ideally, the kids would be satisfied with the thrill of the hunt, but bribes work well here too. Depending on age, you can bribe with actual cash (e.g. if you find ALL the items on the list, you get $5) or it can be something else your child considers a “prize” (e.g. getting control of the remote control for an hour, staying up past bedtime, getting an extra dessert after dinner, etc.). I think this is something that my youngest daughter would love! Definitely going to do some of this over the summer.